Disaster management is the preparation for, mitigation of, response to, and recovery from adverse events that transcend 'regular' emergencies while political philosophy asks the 'big' questions about power in society -- who gets what, and why? And when a fatal disease without a known cure moves rapidly from human to human it's not just about food supplies and First Aid Kits -- the question of who gets what, and why, becomes central. Despite being intricately connected to each other, political philosophy is rarely mentioned in disaster management study and practice. Disaster management is the preparation for, mitigation of, response to, and recovery from adverse events that transcend 'regular' emergencies while political philosophy asks the 'big' questions about power in society -- who gets what, and why? The former seems bureaucratic and process-driven, 'mere logistics,' while the latter requires three degrees and a pouch of pipe tobacco to think it all through. Never the twain shall meet. Except for when disaster actually strikes. During the 2009 H1N1 pandemic, there were precious few degrees of separation between the mechanics of vaccination distribution and the ethical decisions regarding, for example, who gets vaccinated first or under what circumstances -- if any -- vaccination could be refused. Mere utilitarian calculations did not easily satisfy; if children are especially vulnerable and have longer lives left, surely they should be the first vaccinated. But how can we weigh elderly citizens' lives as less valuable if they are equally vulnerable to the disease? And to what extent do we accommodate the individual right to choose that is built into much of our political culture and legislation? The SARS outbreak in the early 2000s saw governments in China and Singapore use cameras in peoples' homes and the military to ensure quarantine. An electronic tag around the ankle was the price paid for breaking quarantine. The fact that these measures were effective will not make it a realistic option for disaster management in Canada. 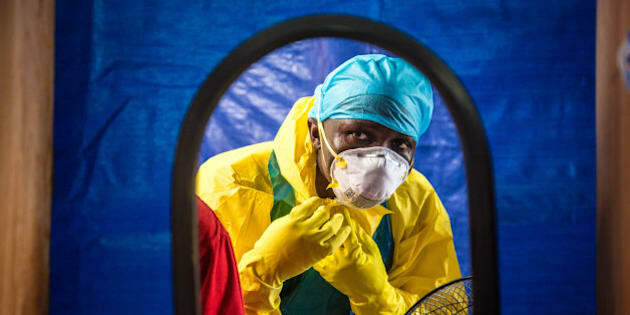 But there are degrees to disasters, and a deadly pandemic that spreads easily may require more strenuous actions from authorities. In such cases the question becomes a deeper, existential one: never mind the interruption to daily activities or harm to the economy, can our political institutions withstand prolonged disaster? Political institutions are the structures that bind disparate people from across the country together, provide predictable and -- ideally -- fair rules for how to go about public life, and allow a sense of a connected past and mutually accountable future. In Canada, these institutions include our federal structure that bestows different responsibilities to provincial and federal governments, the array of public service departments and agencies, and the core pieces of legislation that hold it all together, namely the Constitution and it's most famous component, the Charter of Rights and Freedoms. A widespread belief in their validity is what guarantees that disaster managers can do their jobs during floods, ice storms, pandemics, etc. An extensive study on social isolation measures used in the United States during the 1918 influenza pandemic determined that public belief in the legitimacy of government actions was central to the success of quarantine measures (Markel et al 2006). Compliance required authorities to be representative of institutions that had 'buy-in' from the public. Rarely mentioned in disaster planning, widely supported and internalized political institutions are one of our most valuable resources. Zombies aside, end-of-the-world TV shows hit the nail on the head when they explore the ethical dilemmas that flourish when human systems, especially relatively stable political institutions, are put under severe stress. The risk of a non-airborne disease like Ebola spreading in Canada is still low, but researchers French and Raymond note in the Public Administration Review that "the existing literature suggests that a future influenza pandemic is inevitable" (2009). And when a fatal disease without a known cure moves rapidly from human to human it's not just about food supplies and First Aid Kits -- the question of who gets what, and why, becomes central.